– do couriers want batteries to be discharged or below a certain level? – to make things simpler for a buyer, how do I “disconnect” myself from the drone’s software/account? 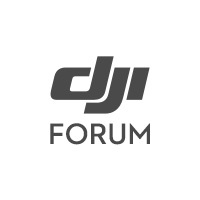 – how do I transfer the remaining DJI Care Refresh to a new owner? Anything else I should consider before listing it? Hi all. I’m selling my Mavic Air, will be putting it on the For Sale & Wanted section shortly, and maybe eBay. Should I do a factory reset to clear all the data? I’m a little worried that if I do that it may need all the updates doing and re-binding etc and I don’t want to give the new owner any headaches. Or is it just a case of them connecting to their own Go4 account and that will be like new? Thanks. Shout if there’s something not covered in that thread though! I found the post office won’t take lipo batteries over the counter in a parcel for posting. They are classed as dangerous goods so might be worth enquiring about this with the PO or courier service. Brian’s right !, the PO will destroy any batteries that are Lipo !. My advice is to use a courier (DHL, etc). They have a different policy about Batteries, and, will transport them usually providing they package is marked as “Lipo Batteries Fragile”. I would certainly lower the charge in them to 20% ish before packing. The Royal Mail won’t take batteries at all. I’ve used DPD and Hermes in the past when sending batteries of any sort - phones are a good case in point. phones are a good case in point. I’ve returned phones for repair by Royal Mail without any problem. They usually refuse if you own up to sending batteries. I often don’t mention the fact that there’s a battery in it. … the two red ticks indicating that both UK and International postage permitted. Fair enough, only going on my personal experience with trying to send phones sold online. Don’t usually bother with RM now as the local office refuses batteries and there’s little point arguing the point with counter staff. Also, they seem to be more expensive these days and you can send far cheaper elsewhere. I always get asked when posting stuff If it contains batteries. As long as the package is marked correctly it’s not a problem. Its more for loose Lipo packs or 18650s. Even the mavic intelligent batteries should be classed as a device.